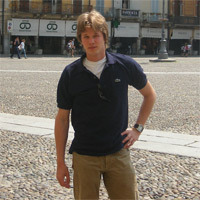 Crown Group LIVE on Chessdom! The 11th edition of the Essent Chess Tournament will be held on 12-20th October in Hoogeveen, Netherlands. The festival will consist of usual events – Crown Group, Essent Open with 7.500 Euros prize fund, two Amateur groups (morning and afternoon) and junior tournament. The Crown Group will again play with glass pieces. The tradition of inviting current/former World Champion, World U20 Champion and best Dutch player continues this year as Ruslan Ponomariov (Ukraine 2706), Zaven Andriasyan (Armenia 2540) and Loek van Wely (Netherlands 2679) are planned on the stage. 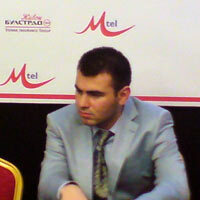 The fourth player is last year winner and 6th rated on the current FIDE list Shakhryar Mamedyarov (Azerbaijan 2757). The tournament format is double round robin. 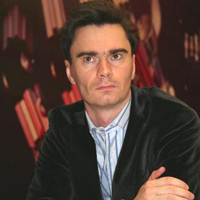 Chessdom will provide live coverage of the Crown Group with comments by GM Vladimir Dimitrov and Goran Urosevic! Stay tuned for the action starting on 14th October. Organizers will provide international field and sufficient number of GMs and IMs, thus making title norms possible. Maximum of 90 players rated 2100 and above will be accepted in the tournament, prize fund is 7.500 Euros and first prize is 3.000 Euros. (Tournament is currently full, new entrants will be placed on reserve-list).